Below are two articles for which I was interviewed about how & why parents choose schools for their children. Drawing partly on behavioural economics to explain their motivation for choice given that there are no academic gains changing public to private schools. ‘Bespoke education’: are Australia’s private schools worth the price tag? School choice: some parents are prepared to pay, but is society? The Grattan Institute also had an article published showing that there is no academic benefit by switching from public to private schools. Using NAPLAN data that tracks students over the life of their schooling. The Australian (conservative) government has finally embraced the Gonski school funding reforms. For those outside Australia, ‘Gonski’ (named after David Gonski who lead the review) is a ‘needs based funding model’ where schools with low socio-economics student cohorts receive more funding than comparative schools with a cohort of higher socio-economic students. Gonski was originally implemented by the previous Labor government and has proven to be extremely popular with the electorate. Even though up to 30% of students in some states (for example Victoria) attend private schools. Australia has a ‘universal voucher’ system where funding is on a per student basis out of national taxes. Via state governments for public schools and directly for private schools. Consequently, private schools in Australia are partly funded by the government plus additional fees paid by parents. It is interesting given Australia’s flexibility in school choice – mixing public and private education – that there is very strong support for a funding model that re-balances natural inequities within an education system due differences in wealth. In contrast to the USA where electoral support for a progressive funding model for education seems to be lacking. The difference between Australia and the USA may have something to do with the social preferences of parents. Education is the bedrock of a prosperous society. However the responsibility for getting education “right” and wealth of school choices can be bewildering for some parents. The behavioural economics behind decisions parents make has prompted Sean Leaver, a former banker, to survey parents. Leaver, a PhD candidate at Melbourne’s RMIT University, has surveyed more than 800 families. His thesis, Behavioural Economics and the Complexity of School Choice, has found there are six keys to high school choice. Like incentivised laboratory experiments Randomized Control Trials (RCTs) are all the rage in economics. RCTs are commonplace in the health sector starting with Pasteur’s first controlled trials 200 years ago. While application of RCTs to social sciences is relatively recent. However, by their very nature social sciences involve researching social groups and networks where information is distributed and co-ordinated with relative ease and frequency. My academic paper on the ‘Behavioural Education Economics’ is now up on the web. This will be a chapter in a forthcoming handbook on Behavioural Economics, due out Sep 2016. ABSTRACT The purpose of ‘Behavioural education economics’ is to understand the psychological factors influencing student performance and educational choices. 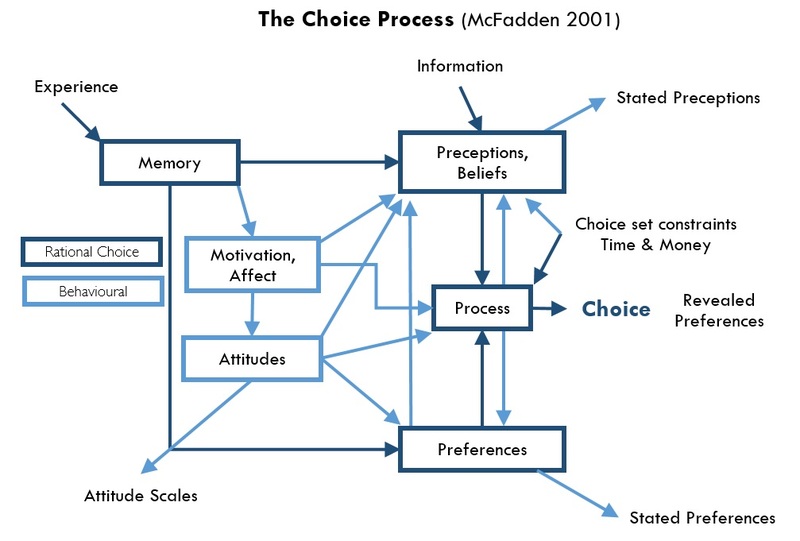 One of the key insights of behavioural education economics is that educational decision making is characterised by choices which are usually not repeated and rely heavily on heuristics to solve complex choices in the absence of prior learning. At the heart of behavioural education economics is an understanding that academic outcomes are malleable. That investment decisions associated with education are primarily driven by non-cognitive behaviours and cognitive biases that affect participation in education and subsequently motivations to commit resources to these investments and maintain these choices over time. The focus of this paper will be on three key non-cognitive behaviours associated with choices in education that impact the quality of investments in education: self-control, self-efficacy and identity. This is the abstract for a seminar I presented to the Victorian Dept. of Education and Training on the 13th April 2015 on behavioural economics and the complexity of school choice. ABSTRACT The purpose of this seminar is to present research investigating the decision architecture of how parents choose a school for their children through the lens of behavioural economics. The research focuses on providing insights into the following key questions : To what extent does active choice exist and is there choice inertia? What are the decision rules parents use to overcome complexity and limited opportunities for learning? What are the choice attributes that motivate a parent’s choice of school? Do parent behave differently when making educational choices for their children compared to other economic decisions? And is there a relationship between the behavioural components of the decision making and the type of school chosen? The talk will also focus on how behavioural economics can inform research design. Using exploratory interviews of parents to observe economic decision making in the field. Relating these observations back to economic theory to generate possible explanations for choice behaviour. And then subsequently testing these hypotheses by going back into the field and collecting quantitative evidence. Both the implications of my results and the general application of behavioural economics to education policy will be discussed. A drunk loses his keys and is looking for them under a lamp post. A policeman comes over and asks what he’s doing. “I’m looking for my keys” he says. “Where did you lose them?” the policeman asks. “I lost them over there”. The policeman looks puzzled. “Then why aren’t you looking for them over here?” “Because the light is so much better here”. For neo-classical economists these ‘lamp posts’ are mathematically elegant and tractable models, sometimes supported with econometrics, which lead to unambiguous conclusions. While these models are illuminating and logically consistent within themselves they are frequently ‘mugged by reality’, as Greenspan puts it, making these models a poor basis for forecasting. This is an ‘observational bias’ where people focus their attention on areas leading to easily illuminated results. An example in banking & risk management is the over reliance on risk models such as Value-At-Risk (VAR). Which, while mathematically complex, conveniently produce an ‘output’ which is easy to interpret and explain. This leads to an overconfidence in mathematical models measuring a bank’s risk exposure while the more dangerous risks, in hindsight after the GFC, are the organisational behavioural risks which tend to be largely ignored (in the shadows). Including ‘model risk’ arising from cognitive biases affecting how models are constructed and interpreted rather than mathematical error per se. Well known mega-losses where sophisticated risk models were mugged by behavioural reality are: Societe Generale’s rogue trader (USD$7billion), Morgan Stanley’s ‘hedging error’ (USD$8.7billion) and the bankruptcy of Lehman Brothers. I worked for 2 of these 3 banks and turned down an offer from the third. There is also an ‘observer bias’ where how we see things is not independent of our own condition, preferences and context. Neo-classical economists tend to view all individuals in their models as being as rational and mathematical able as themselves even though in reality individuals tend to have a wide range of cognitive ability. Q. What do you call an economist making a forecast? At a high level, choice decisions relate to trade-offs between consumption and savings, now and across subsequent time periods subject to constraints and uncertainty. For parents, educational choices for their children are constrained by the parents’ income, time and regulations, and subject to high levels of uncertainty over very long time frames. Parental choice relating to investments in their children’s education only really occurs in the broad range of the socio-economic ‘middle class’. For the very wealthy, choice is the default of ‘only the best’ which requires little to no effort in decision making despite the cost of the education itself. Parents in low socio-economic conditions lack both the time and experience to research education options and the monetary resources to capture opportunities as they arise, leading to an acquiescence to the default choice of no action. Rational choice theory suggests that parents are utility maximisers who make decisions from clear value preferences and can be relied upon to make decisions in the best interests of their children (Becker & Tomes 1976, 1979). Yet in deciding which school a child should attend, under rational choice conditions, a parent is required to make a series of complex intergenerational and intertemporal choices that would challenge seasoned economists. Educational choices are predominantly path dependent, subject to imperfect information and in most cases irreversible. Ordinary parents however, need to make these decisions with little training and with limited time to evaluate options. Instead, parents rely on a suite of behavioural heuristics in order to achieve a good outcome for their children. Individual choice is also context dependent, subject to the experiences of parents, their expectations of the future, a duty to their children and emotional attachment. How can a parent make optimal decisions in the face of so many possible choices and outcomes? Choices which are necessarily sequential and irreversible once made. To overcome the complexity of choice, humans have developed decision strategies which allow shortcuts to be taken to achieve a ‘good’ outcome in the face of incomplete information and limited time for evaluation. These heuristics, intuitive decision rules, allow mathematically hard problems to be solved under restrictive conditions where a good outcome is achieved at the expense of a perfect outcome. For a parent, a perfect outcome is only possible by chance and impossible by deliberate calculation. While heuristics are ‘quick & dirty’ solutions, they draw on highly sophisticated underlying processes. Tversky & Kahneman (1983) testing the conjunction rule in likelihood rankings using the classic ‘Bill & Linda’ experiments showed that there was no difference between naïve and sophisticated participants. Experiments undertaken by Gigerenzer & Goldstein (1996) tested the effectiveness of fast and frugal decision heuristics, such as ‘take the best, ignore the rest’, against sophisticated statistical estimation strategies, such as Bayesian networks. Their research showed that fast and frugal heuristics did not fall too far behind a Bayesian network approach. More interestingly, as the quality of available information used for estimation decreased, heuristic strategies became more effective when compared with the more sophisticated strategies. Becker, G. S., & Tomes, N. 1976. Child Endowments and the Quantity and Quality of Children. The Journal of Political Economy, 84(4), S143-S162. Becker, GS & Tomes, N 1979, ‘An equilibrium theory of the distribution of income and intergenerational mobility’, The Journal of Political Economy, 1153-1189. Tversky, A & Kahneman, D 1983, ‘Extensional versus intuitive reasoning: The conjunction fallacy in probability judgment’, Psychological review, 90(4), 293. Gigerenzer, G & Goldstein, DG 1996, ‘Reasoning the fast and frugal way: models of bounded rationality’, Psychological review, 103(4), 650. McFadden, D 2001 ‘Economic Choices’, The American Economic Review 91(3): 351-378. A recent discussion paper by Richard Murphy and Felix Weinhardt at the London School of Economics, summarized in the article ‘Top of the Class’, suggests that a student’s academic rank in a school relative to other students strongly influences “non-cognitive skills such as confidence, perseverance and resilience” which in turn have a big impact on future academic outcomes. This conclusion is based on a survey of some 15,000 UK students and matched against student test scores. The authors found that rank order in primary school had a material effect on academic outcomes at secondary school. Essentially, if there are 2 students of the same academic ability at primary school but one is ranked in the top 1/4 of an average school and the other ranked in the bottom 1/4 of an elite school, when the students get to high school the student with the high rank order in primary school will achieve materially higher test scores than the other. This goes against the accepted wisdom of the importance of the student peer effect where is generally held that it is better to be in a school amongst high achievers than at a school with not so high achievers. They suggest that the mechanism by which this divergent outcome occurs is that by being in top of the school cohort the student becomes more confident and thereby enjoy learning more, consequently leading them to spend more time improving their skills. What is particularly interesting is that this rank order effect is more pronounced, four times more, for boys than for girls. Personally this confirms my anecdotal observations growing up in country NSW. I could see that we always had our above average share of great sports people. I put this down to confidence through achieving and the mind set associated with a habit of winning from a young age. A benefit of being a part of many small population groups, thereby giving more of a chance to be a ‘winner’. Logically this effect had to be strong to overcome the benefits big cities like Sydney have in their advantage of large numbers generating, statistically, more genetically exceptional sports people.